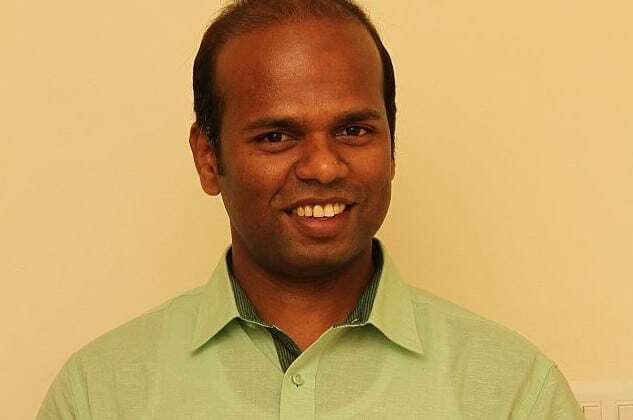 Farmers empowered with real-time information connected to global markets – that is the Digital India vision that drives Coimbatore-based Selva Kumar, Founder of Greeno Tech Solutions. His company has developed a bunch of apps that can take digital technology to the farmer enabling him in ways not seen so far. After completing his formal education in Information Technology, Selva Kumar worked for various IT organizations before he founded Greeno Tech Solutions in 2012. This first generation entrepreneur’s company Greeno Tech Solutions is an IT solution provider that specializes in Information Products, Mobility Solutions and Web Products for national and international organizations. Greeno (Green + Innovation = Greeno) primarily develops and manages payroll solutions for banks in the Middle East and Africa. The growth curve was a smooth ride for Greeno, and a sustainable revenue generating pattern was established for Selva Kumar’s venture. But, Kumar knew that these solutions are no different from other IT solutions providers and Greeno was certainly not doing anything for the farming community he belonged to. There was an urge within him to create a technology that could directly benefit the farmers in increasing their crop yield, manage their produce and directly sell the produce to the market, thereby doing away with the middleman. And removing the middleman from the equation for the farmers meant that they increase their revenue and add to their profits. In 2013, a right opportunity presented itself to Kumar. He participated in the Nasscom-backed Central Government’s programming challenge on Open Data Apps. Kumar took the opportunity to create a dashboard for the agriculture sector, where farmers could gather news related to agriculture, prices of commodities, authorized pesticide and seed vendors in the locality, and dam water levels. Kumar emerged as a finalist in this challenge. The Open Data App Challenge gave Kumar the confidence to develop an app specific for the farmers’ needs. With the revenue from Greeno, Kumar created a spin-off called RainbowAgri – Internet for Farmers. Apps suitable for low bandwidth were created. But when the apps were tested in reality, the farmers were not comfortable with its usage as it was not of real-time use. The farmers demanded a communication platform, where the farmer’s group head could send out one message to notify fellow farmers on meetings, cattle vaccination, tax issues and other day-to-day communications. His team worked on field, gathered other needs of the farmer, improvised the Rainbow apps (i.e. Rainbow Buy, Rainbow Sell and Rainbow Groups) and also developed an exclusive app for communication called Rainbow Message. RainbowAgri helps the farmer federations to profile and connect all the farmers in their entire district and help them market their products, record transactions, design their logos and help them in branding and online marketing. Rainbow Message: This app is used by Lead Farmers and Farm Coordinators to organize their contacts and communicate text and voice messages in regional languages easily and quickly. The app broadcasts voice messages (such as information on meetings, diseases, vaccinations, weather, market price, news, fertilizer vendors, and dam water level) to smartphones and to basic feature phones. The app facilitates bulk and unlimited messaging and works with even very basic Internet connection. It also tracks the messages and their delivery. “This app has been critical in conducting periodical vaccination against Foot and Mouth Disease for cattle. The veterinary doctor communicates the campaign date and location to the network of farmers via voice message sent through the app. More than 1,000 farmers have been benefited through this timely information,” says Kumar. Rainbow Groups: This simple mobile- and web-based tool to profile the farmers, organize and manage farming communities such as Farmer Federation, JLG, WFG, FIG and FPO, the app digitizes farm documents, land and crop details of the farmers. It provides real time analytics on farm details. This app is specifically designed and built for Farmer Producer Organization’s (FPO) data management. The app houses all information regarding the land-owner, his cultivation, fertilizer requirement and yield. As the information is stored in cloud, it is easy to access the data from the browser or the app from any geographic locations with the use of minimal Internet connection. “This app provides vital information to the farmers. Through the app, the group head alerts the farmers on availability of potential buyers for their produce during harvest season,” explains Kumar. Rainbow Buy: This is a mobile tool for buying agriculture produces and groceries available nearby. RainbowBuy discovers and connects local vendors including direct farmers, shops and street vendors. It is also used as PoS (point of sale) by farmers, at their shops/ sell locations. The app tracks order status, sorts the commodities by price, order, and history. “Through the RainbowBuy app poultry farm owners have sold 3,000 eggs to the end users without the middleman. More than 100 sellers in remote South Indian villages have started selling their products through RainbowBuy,” informs Kumar. With the implementation of these apps, Kumar has gone a step further in aggregating a large database of more than 15,000 farmers located in Tamil Nadu’s profit generating agricultural areas like Erode, Salem, Coimbatore and Madurai. “The database is useful not only in having information about the farmers, but it also helps in organizing group specific activity for farmers. One such activity was getting 500 farmers together for a cattle show,” exclaims Kumar. The next big step forward for Kumar is piloting a project for NABARD, an apex development bank for rural and agricultural development in India. The bank wants Selva Kumar to digitally connect all of Tamil Nadu’s Farmer Producer Companies (FPCs) on one single platform. Kumar has begun the process of creating a dashboard for NABARD, which will house all the activities of FPCs. The initial phase of this project will involve Kumar’s effort in developing the dashboard for 60 FPCs in Tamil Nadu. Based on the success of this development, NABARD will scale up the project to digitize 2,000 FPCs across India. The project has been wholly funded by NABARD. The data compiled on the dashboard will be similar to the electronic records maintained by a healthcare firm that is stored in cloud. Kumar intends to create RainbowAgri as a separate entity once the project with NABARD for Tamil Nadu is completely executed. “Although, I have been approached by investors for expanding my operations, I feel I am not ready as yet. I would like to remain boot strapped as now. I would approach investors when NABARD sanctions the National-level project. I want to get the metrics right for the company. I am in talks with some of my friends who work for India’s leading Venture Capital firms and at the right time they would help me raise funds,” says Kumar. The company is expected to raise $1 to $2 million as seed fund. Kumar is confident about his company’s steady growth. Irrespective of NABARD’s project, he says that his app will soon help 10,000 FPC in their day-to-day activities. “A farmer in the most remote corner of South India has only 3 apps downloaded in his basic smartphone. One is Whatsapp, two is Facebook and the third app is Rainbow Agri,” proudly states Kumar. With the obvious penetration of Internet in the deep agricultural areas of the Tamil Nadu, Kumar is bullish on hitting 100,000 downloads for his app. And with the launch of budget smartphones in combination with attractive data plans by India’s service providers, Kumar is certain that it won’t be long before his apps will reach out to 1 lakh farmers. He is also banking big time on Google’s Project Loon to aid his dream of reaching out to farmers in India. RainbowAgri, the Internet for Farmers 4 out of 5 based on 1 ratings. 1 user reviews. It is a very good initiative undertaken for the agriculture community as a whole. Especially “Rainbow market app” would be boom for the farmers. I am eagerly waiting to launch this app for our 5 FPOs incorporated in my districts.